Presents a three state framework. Sections: Preparing for the Meeting; Conducting the meeting and developing a legal IEP; Ensuring the provision required by FAPE after the meeting. 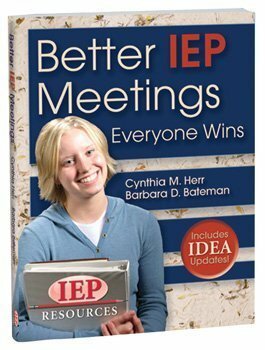 Designed to provide guidance to both school personnel and parents about how to communicate more clearly & efficiently in order to streamline the IEP process.